Mother’s Day is beautiful day to celebrate with this special woman of our life. 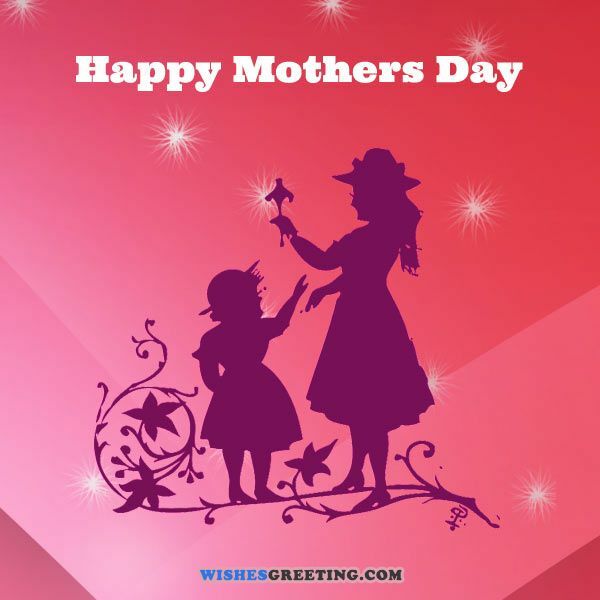 On this day we need to show gratitude to our mothers in many ways: gifts, wishes, quotes or sayings. We have collected some most beautiful quotes and wishes for this important day. A mother’s love is so tender and sweet. 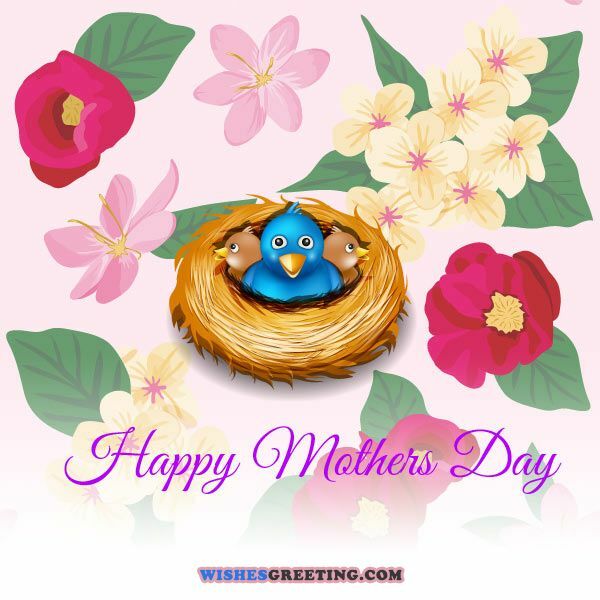 So, why not celebrate your mother with a well thought, inspiring and motivating quote from the following list. You are the best mother in the whole world. You have sacrificed your whole life for me and my brother, just want to say happy birthday mom and happy mothers day. The innocence and love I see in your eyes make me wonder if I can be as good a mother as you are. If I could create something more beautiful than a rose, more costly than gold, and more expensive than diamond, then I would because that is what you are worth to me as my mother. When I think of what you had to go through; the sleepless nights, the uncertainty, the pain and the burden, I simply find no words to describe you mama. I know of only two omnipresent people: the Almighty God and you my beautiful mother. In my darkest hour, I go to a corner to pray then I remember God already loves me so much because he gave me a mother like you. You will meet many people who will have impact on you life but only a mother’s love will stay in your heart forever. What better way is to say thank you Ma, then with these happy Mothers Day wishes, specially crafted for this beloved woman. When I lost my first tooth, everyone laughed and jeered at me but not my mother because she is the only who understands what a tooth means to her young one. The heart of a mother is too big; it can take all my filth, failures, worries and even successes without overflowing. I wonder how the world would come to be if it was not for the mothers, even God knows mothers are irreplaceable. The only job that does not need an application, shortlist, an interview and a letter of employment is motherhood. Without you mom, I have no idea what I would become, possibly an alien from space. How many instinctive philosophers do you know? Actually there is only one – you beautiful mother. Of the many thoughts a mother can have, none is as important as that of her children; it follows her like her shadow. Words cannot begin to express the deepness of the love I hove for you mama; you make me want to cry every time you call me baby. Mothers are artistic, musical and creative; you will only know this if you listen to them rocking their little ones. Banks as we know them deal with money and other treasures but a mother is the only bank where I deposit my worries and hurts and withdraw tons of love. Of the most eloquent people I have met in my life, you beat the tenfold in the language of love. I have travelled the world, met millions of people, read lots of books and eaten many foods; none of these gives me pleasure like spend time with you mom. My father taught me a lot concerning women, but you mother only taught me how to be a mother and a wife. We should not forget the other important person in our life and that is our papa. When his day comes we should also say happy Fathers Day with these special quotes and wishes. Where we love is home — home that our feet may leave, but not our hearts. If I could ask the gods one favor, it would be to be as perfect a mother as you are to me mama. A mother’s cup of love is enough to quench the love thirst of every child; it does not run dry. Dear God, please preserve my mom, coz she is the only one who understands the meaning of perfect motherhood to teach me. I know of only two people who love me even though I mostly do not deserve it- God and you my mother. They call today mother’s day but I think of it more as the day I remember the source of my existence. 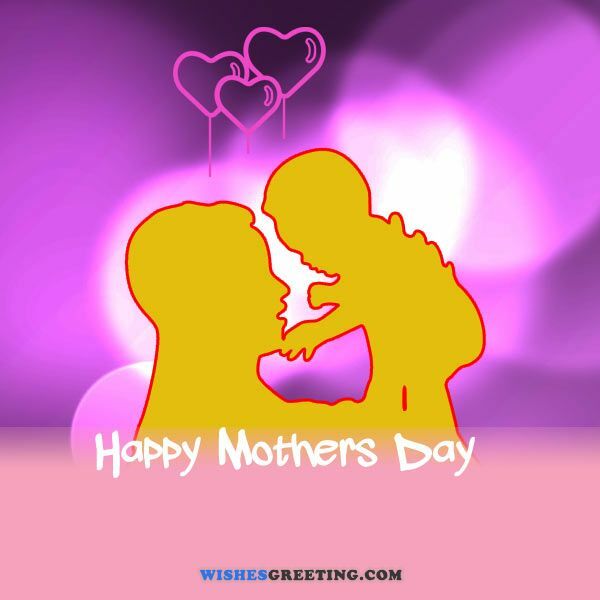 You have been so wonderful mom- I just thought short message could show you my gratitude. That best academy, a mother’s knee. The best graduates of the University of Motherhood, nobody has the degree mothers hold and yet they keep studying. For God so loved me that He gave me a mother to nurture me, protect me and teach the best morals of life. In a cruel, ruthless, dangerous and unforgiving world, you make me feel secure and confident to face my fears- I love you mama. A mother’s food basket always has a least one more, not for herself but for her child who asks for more. After all the things you have done from me mom, am convinced you will take a bullet for me again and again and for that reason you are my hero. Nobody could tolerate my foolishness and skittishness but you did mama- I cannot forget to celebrate this important day with you. May your day be filled with happiness, gladness, and peace- you deserve it more than any one today. Mama, nobody has seen your claws, your horns or your fangs but I have coz you could care and protect me so much without them. I have never met someone so brave, so daring or so protective like a mother; why not celebrate them. Mama, you are beautiful in and out, pure at heart and huge in wisdom- allow me to spoil you with my praises. I have waited for this day mom to tell you something my heart has always kept secret- you are my hero. Everyone is born of a woman but not all women are mothers; congratulations mom you are a true mother. You stand tall above your head mama: what a gift for an undeserving daughter like me. It is good to know someone loves and cares about you: you are that person mother. All mothers are good in arithmetic; try them with addition, division, multiplication, and you will see it at the dining table. I feel like the luckiest person in the face of the earth because of you mama, words fail me but I wanted this day to be the most special time for you. I do not know how many mothers are like you; all I know is that you are unlike most mothers I have met- you are simply wonderful. What you are to me is unexplainable; may be my tears will show you how much I cherish you but again that is not enough. To be a mother requires sacrifice, commitment and determination to see good in your children; only good mothers like you mama know this hidden meaning. You are not a mother if your kids like you; Motherhood is the only job that you get negative results if you do it perfectly but do it anyway. Many people think I reached this far because of my hard work and effort; they are so wrong coz I awe all these to only one person – my angel mama. Do you know why the first person you think of when you are hurting is your mother? She is wired deeply into your biology. Having female biologic characteristics is one but being a mother is much more than that- instinct and motherhood skills are major ingredients. You know what I have realized mum; I used to see only with my eyes but you tough me to see with my mind as well…. Thank you! I am like a tree in a desert that needs daily watering, a seedling in a garden that needs frequent weeding and a plant that needs occasional pruning; who takes care of all these…. No one else but you mama. Fathers know many things; but to be a mother, they gave no idea where to start or end. People love me because I am compassionate, tolerant, liberal, brave and charismatic…. All these things I learned from you mother. I never grew with my mother and did not believe am beautiful but when I heard her say it, I had no more reason to doubt. Can anyone take the place of a mother? Am asking fathers to answer this question because as far as am concerned; mothers are irreplaceable. Many people do not know who a mother is; she is the one who will rather go hungry but ensure there enough for you, one who will cry if you refuse to eat, and one who will go her way to find you an alternative if you do not like what she cooked. I feel confused and afraid; I need someone who cares and oh… I think about mom and suddenly I am confident and brave because of her strength. 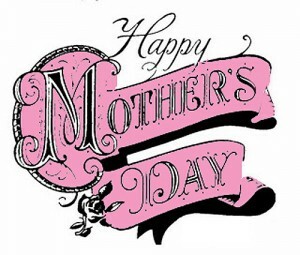 There are billions of people on earth; who do we have to thank for the sustenance of the human race – our mothers! I do not mind remaining in this world alone as long as I can occasionally see and talk to my mother; she understands a great deal about life. When am done doing my stuff, the next thing I think of is calling my mom because she seems to know everything – she can correct me where I go wrong. I derive my inspiration from you mama and for that, you are my hero. In school, I had a role model but when I got out to start my life as a family woman; I realized my true role model has always been you mother. Never trust a man with motherhood because he does not have what it takes to be a mother –even men admit this fact. Do not despise my mother’s slenderness, small body and short stature, inside she has an enormous heart that can accommodate all of us her kids. Motherhood is a true gamble but if you get it right, you win very big- an entire generation. Before being a mother, you will learn many things about motherhood; however, you will realize your lessons were nothing if you cannot love your children whether they deserve it or not. I love to hang around my mother, I have learned a lot by just observing how she relates with us and other people… that she has a big heart. Even the most comfortable mattress cannot compare to a mothers arms when she holds and cuddles her young one. Can I tell you how I overcome the mountains I had in my life…..I did it through my mother’s relentless prayers and support. There are many mysteries; the one I cannot understand is a mother’s love that makes her care the least about herself but for her children. The sweetest and the most musical are the lullabies composed by moms to sooth their young ones to sleep or calm them down. Hello mama, I just wanted you to know how proud I am of you… you just gave me thousands of reasons to be a mother. When God created a woman, He knew it was the only way to make the world a better place for all species. Oh mama, I love you so much and that is why I thought I should write to you a short phrase….you are more than a hero to me. Little children get an idea of what God could be like when they look in the eyes of their mothers. I find peace, comfort and joy when you whisper the words…. I love you my child. Even the most blatant lies you hear your mother say always turn to be the truth… believe me. 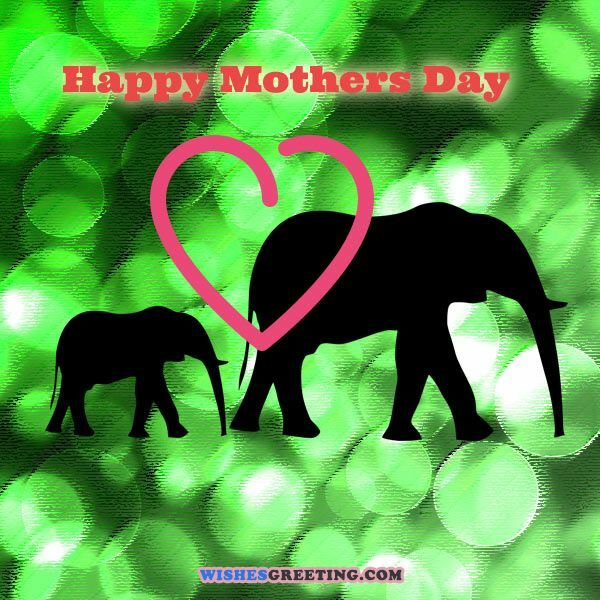 I have never met anyone so selfless, so kind, so empathetic, so generous and so loving like you mother…. You rock! In case you have doubted miracles then I promise you, your mother is one. A mother may be tough, authoritative and strict but just know she is doing it to help you survive without her in the near future. Every woman at one point in her life dreams of becoming a mother because motherhood is the most beautiful thing that could ever happen to a woman. The decisions you made as my mother have made me who I am today I will always awe all to you. I usually think of you mother as my mantle, the light in my darkness, the rain in my doubt, the water in my desert and the gold in my rocks – I really love you. I do not mind giving you my mind mother because I know what you will do with it….you will ensure it is right on course. Many people contribute to your life but none of them is as vital as your mother; she shapes every bit of your life to mold you into an acceptable member of the society.